Posted by Yilan in Egypt, Macedonia, Turkey. Macedonian nationals, requesting to be evacuated from Egypt as protests in the country are escalating, will be transported in Macedonia with a plane of Turkey’s national carrier “Turkish Airlines”. They are expected to arrive on February 3. Macedonian Ambassador to Egypt Mile Manolev stated that the number of those registering in the Cairo embassy to come back to Macedonia was reducing and that the final number would be determined after they were informed about the route and price of plane ticket. “Those registering are mainly students, post-graduates and Macedonian citizens living there with their families,” Manolev said adding the embassy had no information whether there were Macedonian tourists in Egypt. The Macedonian embassy in Cairo remains open, but its activities are reduced due to the ongoing riots in the country. Since the situation in Egypt is deteriorating, later in the day, all foreign ambassadors will be convened at a meeting in Egypt’s Foreign Ministry in order to be informed about the newest developments in the country. The Ministry of Foreign Affairs recommends that the citizens of Macedonia avoid travelling to Egypt in the forthcoming period taking into account the violent protests and demonstrations taking place across the entire territory of Egypt, as well as the possibilities of them continuing and escalating, it says in a press release. The protests across major cities continue, while the army and police exercise limited control. The entire country is under a curfew, which, for the most part, is not being observed by the demonstrators. As of today, the ban on movement has been extended and is now in force from 15:00 hrs in the afternoon to 08:00 hrs the other morning. The Ministry of Foreign Affairs calls upon all Macedonian nationals happening to be there to abide by the restrictions introduced by the Egyptian authorities. Although its flight schedule has been disrupted, Cairo airport remains open. Telephone lines are still unreliable and there is no internet connection at all. Tour operators are advised to prepare the return of the Macedonian tourists they had previously sent to Egypt. The Ministry of Foreign Affairs advises the Macedonian citizens to regularly follow the situation in Egypt and urges those who are still there to prepare to leave the country. The Ministry of Foreign Affairs would also like to inform that the Embassy of the Republic of Macedonia in Cairo will remain open, all for the purpose of providing advice, guidelines and assistance to all Macedonian nationals in Egypt, as well as to provide its assistance in their individual or organized departure from the country. Posted by Yilan in Egypt, Turkey, Yunanistan. Greece is increasing its border patrols over fears that the crisis in Egypt would trigger a wave of illegal immigrants, entering from Turkey. Greece has announced it is increasing its sea and land border patrols over fears that the crisis in Egypt might trigger a wave of illegal immigrants to Europe. Christos Papoutsis, the Greek Minister for Citizen Protection, said Monday that authorities provided an increased number of patrols at the border with Turkey in the last 24 hours, Greek DPA news agency reported. Papoutsis added that there has not been an increase in the number of illegal immigrants from North Africa yet, but noted that this could change suddenly. Tens of thousands of illegal immigrants see Greece as their destination. Only last year, their number was 128,000, the highest in all EU member states. The country has accused Turkey of failing to stop the wave of illegal immigrantsentering Greece and ignoring an agreement to accept the return of detained immigrants. In December 2010, the Greek government announced it was considering fencing off its territory along its Turkish border to beat back the influx of illegal immigrantsinto the EU. However, at the beginning of 2011, Papoutsis indicated a project for building a 12.5-km-long and 3-m-high fence along the most problematic section of theGreece–Turkey border near the Maritsa river and the Greek town of Orestiada. In the period of just six months up till the end of November, 33 000 illegal immigrants have been detected crossing the Greek-Turkish land border. Most are from Afghanistan, Algeria, Pakistan, Somalia and Iraq. Officials have stated that, in 2010, an average of ‘200 refugees each day’ had crossed into Greece from Turkey. Around 80 per day of the illegal immigrants in the EU arrive via Greece. Large numbers then seek to reach Italy via ferry. There are currently an estimated 300,000 people living illegally in Greece. Greece‘s facilities for the detention of illegal migrants have been the matter of criticism by international human rights NGOs. In November 2010, police from across the EU arrived in Greece to patrol its borderwith Turkey against illegal immigrants as part of the continued “Joint Operation Poseidon” of Frontex, EU’s border control agency. Police officers and equipment from Bulgaria, Germany, Romania, Austria, Hungary, Slovakia and Denmark deployed along the border with Turkey in NortheasternGreece, which is a major point of entry into the EU for illegal immigrants. The mission is expected to last till March 2011 and is focusing on policing a previously unguarded 12-km section of a river border between the towns of Nea Vyssa and Orestiada, on the Maritsa River. This is the first time a rapid-intervention border team has been deployed to an EU member state since the Frontex teams were created in 2007. Frontex, the EU agency based in Warsaw, coordinating the operational cooperation between member states in the field of border security under the European Patrol Network project, has agreed to place 175 police officers from across the EU after last month Greece requested from it help to cope with the growing number of refugees from African countries, Iraq and Afghanistan penetrating through its river and landborder with Turkey. Bulgaria, which has a longer land border with Turkey than Greece, has not detected a substantial increase of illegal immigrants seeking to enter the EU even though the Bulgarian border police occasionally capture small groups of illegal migrants from the Middle East and Africa. EU’s Joint Operation Poseidon started in 2006 as a purely sea-based operation patrolling the coastal waters between Greece and Turkey. Since the beginning of 2010, Poseidon has also had a land-based component covering the Greek and Bulgarian land borders with Turkey — now confirmed as the dominant country of transit for irregular migration into the EU. At the beginning of January, Bulgaria joined Greece‘s intentions to build birder fences along the borders with Turkey. However, Bulgaria‘s decision was triggered by the spread of the foot-and-mouth disease (FMD), which came from a wild boar that was killed in southern Bulgaria, near the border with Turkey. 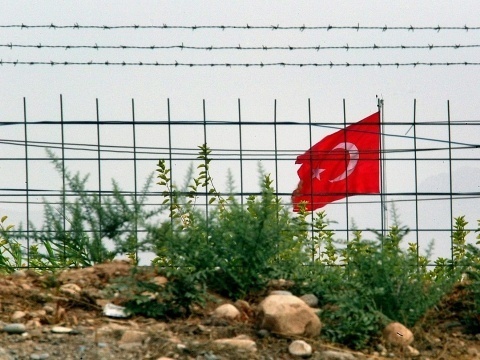 However, Turkey has met with suspicion the intentions of the two countries to build fences. According to the Chairman of Turkish Center for International Relations and Strategic Analysis, Sinan Ogan, the two countries have hidden agendas. Posted by Yilan in Egypt, Yunanistan. 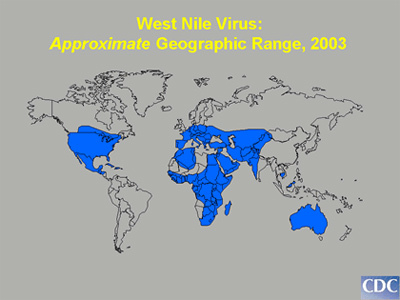 Greece’s health ministry said on Tuesday it was stepping up the fight against West Nile virus which has killed four people since the beginning of the month. Some 60 people were diagnosed with the virus on Tuesday, with 13 new cases discovered on Monday, according to a statement from the Centre for the Control and Prevention of Diseases. So far 60 people have been diagnosed with encephalitis — an inflammation of the brain caused by the virus — while four elderly patients, also suffering from unrelated diseases, died. According to the centre, eight of the 29 people hospitalised on Tuesday are in intensive care. The virus, transmitted through bites by infected mosquitoes, has so far affected populations in Greece’s Macedonia region, in a zone stretching from Larissa to the northern city of Salonika, in close proximity to lakes and rivers. The health ministry has ordered that efforts to spread insecticides in the region be intensified, targeting areas where contamination is highest. A campaign to inform the public will also be launched. A doctor working at the centre, Doritsa Bakka, said the virus has been found in the past in Greece but had never before caused encephalitis. She said the spread of the disease had been encouraged by a hot and wet summer, an ideal breeding ground for mosquitoes. Posted by Yilan in Egypt, KKTC. It appears that the limits of bargaining skills of Greek Cypriot leader Demetris Christofias were as much underestimated as his trustworthiness was exaggerated during the Annan Plan period. Verhaugen and other European bureaucrats and politicians were “fooled” at the time by many Greek Cypriots, particularly by Christofias. Up until a week before the April 24, 2004 vote on the Annan Plan Christofias was supportive of the compromise deal, but all of a sudden he came up with “In order to deliver a strong yes a while later, we have decided to say no.” Such a grandiose U-turn by witty Christofias made many people feel “we were fooled.” That the “a while later” Christofias referred to never came and the Annan Plan since then has been considered by the Greek Cypriot side as “dead and buried” but somehow still alive with the limits it provided to the Turkish Cypriot demands. 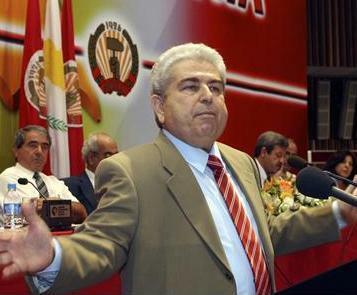 How can Christofias see the right in himself to ask Turkish Cypriots to go further in such painful areas despite the fact that even the Annan Plan ceilings were too high to accept but just for the sake of a settlement Turkish Cypriots felt obliged to accept to demonstrate their pro-settlement resolve. With such odd demands, of course, these talks cannot go anywhere but to failure. During a recent encounter in Brussels with Turkish minister in charge of EU affairs, Egemen Bağış Christofias disclosed that he made an important and generous offer to Turkey. According to the offer if Turkey agreed to return the Varosha suburb of Famagusta to the Greek Cypriot side his administration would agree to opening of accession talks in some of the chapters his government has been holding hostage. Christofias is of course a very clever salesman. He would not sell everything in one go. He would not lift the Greek Cypriot veto on the entire set of chapters it has been holding hostage. He has stressed that “The Cyprus issue will always be a handicap in Turkey’s EU process” as long as the Cyprus problem was not resolved. According to Christofias Turkey will take a step and Christofias will lift the veto on one or more chapter. In a while Turkey will do something else and Christofias will generously lift some other sanctions. Give and take is the essence of diplomacy, but poor Christofias is so witty that he is unaware of the fact that Turkey can neither compromise from Cyprus, nor from its EU bid and many wise persons in Turkey and in Europe are aware that it is in the best interest of both Turkey and the EU not to force Ankara to make a choice between the Cyprus issue and Turkey’s EU membership. Posted by Yilan in Egypt, Israel, Turkey. Hundreds of Egyptian demonstrators wave Palestinian and Turkish flags as they march at the port city of Alexandria, Egypt, to protest against the Israeli attack. DEMONSTRATORS in Melbourne yesterday joined worldwide protests against Israel’s deadly attack on ships ferrying protesters and aid to the blockaded Gaza Strip. More than 1000 protesters brought traffic to a standstill in the city yesterday as they marched to Parliament Housechanting ”Free, free Palestine” and ”Shame, Israel, shame”. Across the Tasman, hundreds of anti-Israel protesters hurled old shoes at the US consulate in Auckland on Saturday in an ”expression of outrage and anger” over clashes between Israeli armed forces and Gaza-bound aid workers. // The demonstration called for sanctions against the Israeli government. Protests also took place in Wellington, Christchurch and Dunedin. The group took up shoe throwing to mimic an Iraqi journalist who hurled his shoes at then-US President George W. Bush during a news conference in 2008. Tens of thousands of protesters poured into the streets of Alexandria, Egypt, calling for an end to Israel’s three-year blockade of the Gaza Strip. About 20,000 protesters also vented their anger at Israel over its attack on the Gaza flotilla. The Muslim Brotherhood, the main organiser of the protests, also staged demonstrations in Fayoum, south of Cairo, and in the northern Sinai Peninsula city of el-Arish on Friday. There were no reports of violence in Melbourne, but one protester let off a flare on Bourke Street that was quickly put out by a police officer on a bicycle. Palestine Solidarity Campaign spokesman Mick Armstrong said many Australians had been angered by Monday’s Israeli commando raid that killed nine people on the aid ship Mavi Marmara. ”Given the scale of the atrocity carried out by the Israelis it was important to make a statement at this protest,” Mr Armstrong told The Sunday Age. Mr Armstrong said yester- day’s protest would put greater pressure on the federal government to push for Israel to have the blockade on Gaza lifted. The protest followed reports in Britain’s Guardian newspaper that the nine people killed in the Israeli raid had been shot a total of 30 times.